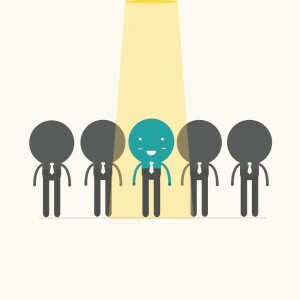 Employers Hire the Best: Is That You? No employer is seeking to hire Mr. Average. All employers seek the exceptional and the very best. But how do you convince them that you are the ideal candidate? And how do you beat your competition for this one job? Most candidates approach the interview similar to a test. For many, this is the logical way. The interviewer asks questions, and your job is to answer them. But can you anticipate the types of questions you will be asked? The answer should be yes. The interviewer will ask you a selection of questions from a pool of common interview questions, and certainly, you can prepare for that. But you can do even better than that. The secret to landing that job is to identify the interviewer’s problems and then show how you have already solved such problems much to the satisfaction of your boss, customers, and other stakeholders. In fact, the concept of problem solving should already be incorporated in your résumé, which is to be tailored specifically for the job you are applying for. Including the part about being an accomplished problem solver is critical because most résumés concentrate on skills and past job duties, yet employers are looking into the future and trying to determine what you can do for them. Think of yourself as a consultant who goes into a company to help it meet its challenges. As a job seeker, consider yourself a business consultant. What consultant enters a client presentation meeting without understanding the client’s most pressing issues? A competent consultant conducts an extensive analysis and researches the customer’s core problems and challenges prior to presenting proof of being best qualified to solve those problems and meet those challenges. Unfortunately, though, most candidates don’t know they should view an interview as such. That’s exactly why—if you do—you should outshine the rest. Find out the employer’s specific problems. Why are they hiring in this position? Once you know what the employer needs, it’s easier to make the employer want you. Research the employer. Study its Web site and other Internet or library resources. Or talk to current or former employees. Use your many LinkedIn connections to find out as much as you can. Be observant and keep your eyes and ears open when you interact with human resources, recruiters, and interviewers. Make a note of what you learn. Read between the lines of the job posting. Identify the specific skills, the amount of experience, and the type of personality being sought. Incorporate even in your résumé what you learn, and then compose several solutions that you’ll communicate in the interview via brief success stories. This article was syndicated from Business 2 Community: Employers Hire the Best: Is That You? Exponential Organizations: Is This The New Normal?